Just as its name suggests, this special event is about to “pop up” for a one-night-only celebration of all the ways Rockford is becoming a thriving, vibrant community. Here are 5 reasons you shouldn’t miss out on this “transformational” occasion. There are those who do and those who watch. And those who simply watch are missing out on an opportunity to help transform our region! Visit our pop-up event and you’ll start to get an inside look at the movement that’s making Rockford a Top 25 community by 2025. Since it began in 2013, this volunteer-driven grassroots movement has been part of many big things happening in the Rockford area. This is your chance to help the narrative and build a better future for your hometown. At our pop-up event you can meet volunteers and staff members, plus learn how you can join the effort and become part of something bigger than yourself. 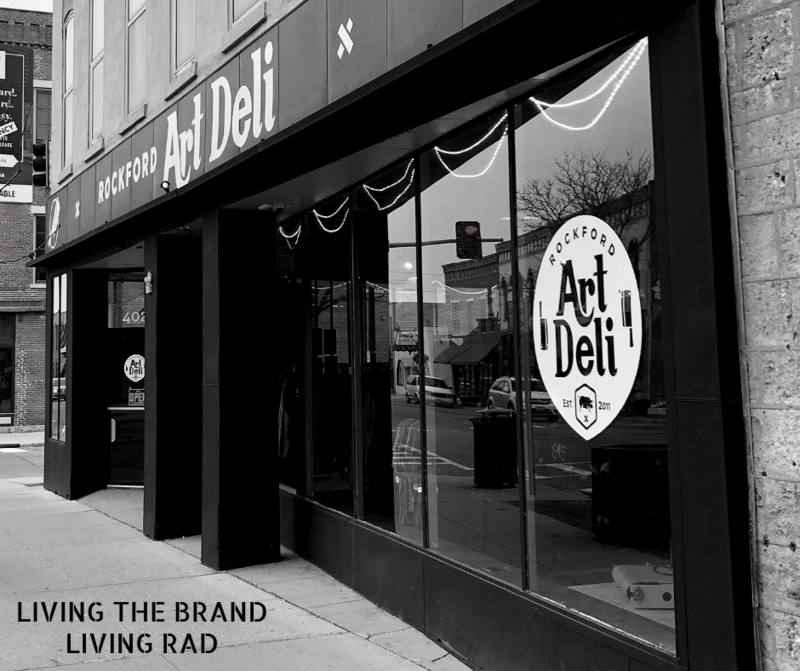 Visit our pop-up event and get some cool swag that screams “hometown pride.” Transform Rockford is teaming up with Rockford Art Deli to make this a special “free print day,” where you can get an exclusive print available for one night only. Bring in a blank T-shirt or purchase one for $10, and get a free Transform Rockford print designed just for the occasion. It’s perfect for mom, dad, and the kids to sport their Rockford pride. Not only is it a special souvenir, but this T-shirt is like free advertising for the forest city. Wear it whenever you travel, and you can be a brand ambassador for our little slice of paradise. Change begins with you. Expect to see plenty of special guests at our pop-up event, including the team from Prairie Street Brewing Co., which is serving up its locally crafted drinks and DJ AG Rated will be spinning the tunes from 5 – 7 PM. While you’re nursing that local brew, go ahead and rub elbows with many of the people who are living the transformation right now. Hear special remarks from Transform Rockford Executive Director David Sidney and Steering Committee Chair Bobbie Holzwarth, and stick around to see who else shows up. Transform Rockford is a volunteer-driven initiative that thrives on the hard work of ordinary people pulling together to create extraordinary things for our community. Be a part of the transformation of the Rockford area and volunteer. At our pop-up event, learn what opportunities are available and see some of the ways you can get involved. It takes all of us, working together, to make this city a vibrant, thriving place to live, work, play and raise our families. 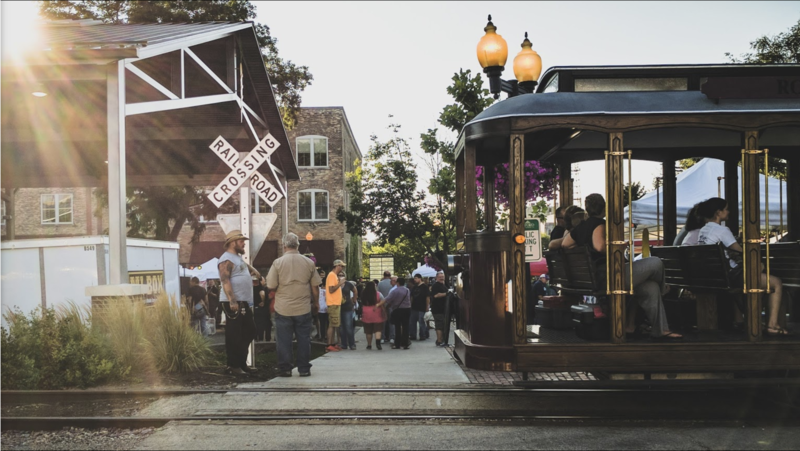 Learn all about the effort to Transform Rockford before you go and enjoy a night out in a neighborhood that’s living proof of Rockford’s comeback. Over the past 15 years, downtown Rockford has bounced back to become a thriving destination filled with quaint shops, unique restaurants and exciting entertainment venues. Stop for dinner at one of the many new venues downtown, such as Taco Betty’s, Capital House, or Sister’s Thai Cafe, or else visit one of downtown’s pioneers, longtime favorites like Octane, abreo or Carlyle Brewing Co.
Keep an eye out for more good things to come! This is the first of many special Transform Rockford pop-up events being planned for 2019. In true Rockford fashion, they’ll continue to tell the story of our transformation while bringing out your sense of hometown pride. Don’t miss out!